Jane Cowan runs a letter-carving workshop specialising in carving in stone, making memorials, garden sculpture, house names and unusual gifts. 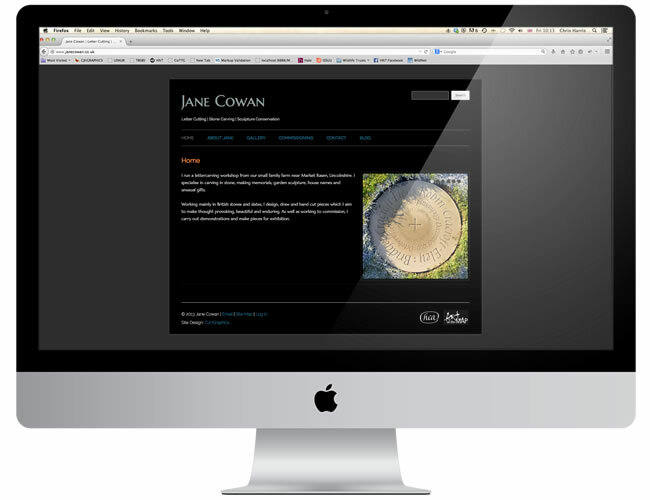 The website showcases some of Jane's work and features a blog recording her projects. Design, domain name registration and hosting.